What is National Air Ambulance Week? 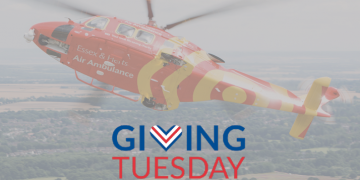 Every day, Air Ambulance charities around the country receive incredible support from the general public in order to remain operational. 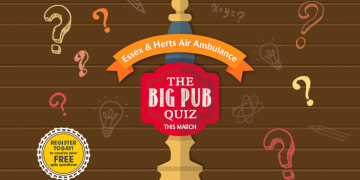 National Air Ambulance Week is a chance for all of the member charities of the Association of Air Ambulances to get together to celebrate and promote the work of their local communities. 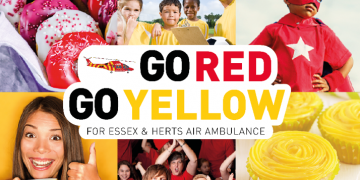 This year, we are asking our supporters to come together during 9th – 15th September to raise the profile of their local Air Ambulance. 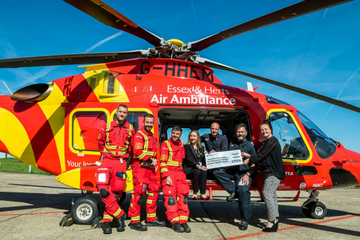 During National Air Ambulance Week we raised over £14,000 just through our bucket collections! We need you! Join our Collection Crew and help save lives. We have booked more collections this year (than ever before) and will need more Volunteers to help cover these sites. Volunteer for as little as two hours during National Air Ambulance Week this September and help keep your local life-saving Charity operational. Many of our collection sites were covered by groups and we really could not do it without them. It has been wonderful to build these relationships across the community and we look forward to working together again in the future. There was such an atmosphere of fellowship and wellbeing, it was almost tangible. As an advertisement for EHAAT it could not have been better and I am sure an inspiration for us to redouble our efforts to support you. – Richard, St Albans Rotary Club following our ‘Evening of Celebration.’ – St Albans Rotary. 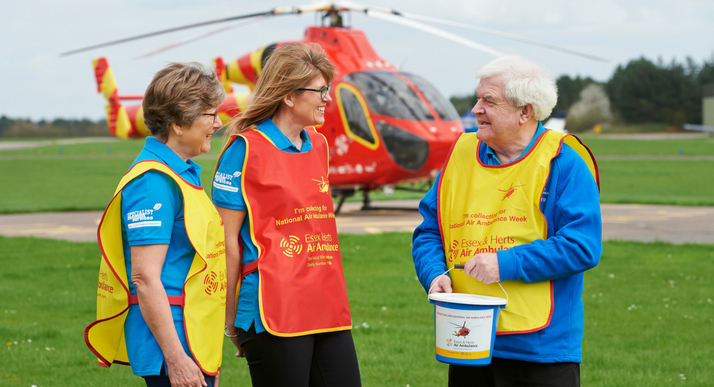 If you are able to support your local Air Ambulance by helping at one of our bucket collections, please do get in touch by calling the fundraising team on 0345 2417 690 or following the link below to fill in an enquiry form. Are you able to help at any of the below collections? 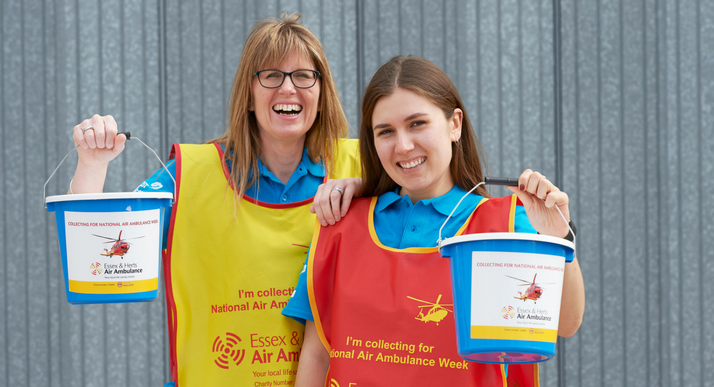 If you can’t help out at a bucket collection, why not hold a small event in aid of National Air Ambulance Week? Head over to our blog to see what A Day in the Life of a HEMS Crew Member looks like.